Freshman year can be overwhelming, but incoming Illinois State students don’t have to go it alone. First Year Learning in Communities (LinC) is here to help. First Year LinC is an eight-week, one-credit hour course that aids freshmen in their transition to life at Illinois State during the fall semester. The course encourages students to get involved in campus activities and registered student organizations (RSOs). Students also get help choosing their majors. Illinois State psychology student Jordyn Washer participated in LinC her freshman year. The program was a way for her to step out of her comfort zone and find new opportunities on and around campus. This fall she will begin her senior year and her third year as a LinC peer instructor. “LinC is about finding ways to get involved. Each student is required to go to Festival ISU in the fall. 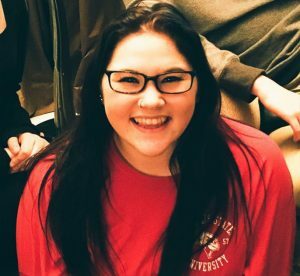 I ended up getting involved in To Write Love on Her Arms (an RSO focused on mental health awareness), and eventually became the outreach chair for the organization,” said Washer. LinC pushed her to get out of her comfort zone and find where she belongs at Illinois State. Joining To Write Love on Her Arms helped Washer discover her love of helping others. She fell in love with the LinC program and decided to become a peer instructor as a way of supporting even more people. “Becoming a peer instructor has helped me become more understanding and empathetic. I have learned a lot about people’s unique situations,”said Washer. As peer instructor, Washer takes attendance, helps with lessons plans, grades papers, and gives the new LinC students an older student’s perspective on their questions. All LinC classes are small, with a student-to-faculty ratio of about 22 to 1. Students get to know each other on a personal level and take on campus life together. “The community created in the classroom by the instructors allows students an opportunity to ask questions or voice struggles in a supportive learning environment,” said LinC coordinator Lisa Lawless. Over 5,000 first semester students have taken LinC since the program began in 2005. The program has inspired countless individuals to take part in campus activities. Washer plans on attending graduate school after receiving her undergraduate degree. She dreams of counseling struggling individuals and helping them find their path in life. Students interested in First Year LinC can enroll in the program during Preview.